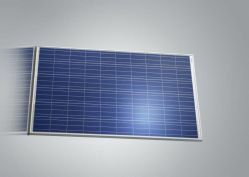 At the end of 2010, silicon solar cells, which are made of polycrystalline silicon, had an efficiency of 16 percent. The equivalent figure for those made of monocrystalline silicon was 18 percent. Researchers at Merck began to look for ways in which they could increase the electricity-generating area of a solar cell without increasing the cell's size. For example, they considered moving structures that cast shadows on the front side of the cell—which faces the sun—to the cell's rear. And they soon found one such structure: the channel that electrically isolates the front and rear sides of the cell from one another. Some background information: A solar cell fundamentally consists of a light-absorbing semiconductor wafer that converts sunlight into electricity. To enable the generated electricity to flow out of the wafer, the two sides of the device are covered with differently charged layers. One side is positively biased, the other is negatively biased. When a wafer leaves a coating facility, however, the two sides are still short circuited. To enable the cell to work at all, the sides first have to be electrically isolated from each other. This isolation is achieved using a channel. Until now, such channels have been burnt into the wafer's surface using a powerful laser. The result is a non-conducting barrier between the layers on the wafer's front and rear sides. However, around 1.2 percent of the usable area is eliminated in the process. Although this loss may appear minor at first glance, when you calculate potential savings on the basis of 100 megawatts of solar output, the financial gain is more than $500,000. The difficulty here is that the laser production technology used does not permit the channel to be simply transferred to the rear of the cell. Alternatives such as the wet-etching method also have their disadvantages in the form of more expensive processes and a strong negative impact of the environment. The researchers at Merck are therefore using a new etching paste from the isishape® range, whose products have already been successfully used to mass produce touch panels and high-efficiency solar cells. And their efforts have borne fruit. "With the paste, it is possible to etch an insulating edge on the back of the wafer in a way that conserves resources and is environmentally friendly," says Köhler. The entire process consists of just three steps: printing, etching, and cleaning. In addition, it is carried out at a temperature of about 220 °C. As the temperature used is quite low compared to those used in other processes, this approach saves energy, conserves the cell's material, and does not require aggressive solvents. "We can therefore use open water circulation systems to clean the wafers," adds Köhler. Merck's unique isishape SolarEtch® concept offers dispensable etching materials suitable for screen printing, allowing simple, efficient structuring in the production of solar cells. As well as increasing cell efficiency, the three-part structuring process also allows economical mass manufacture with standard equipment and environmentally friendly production. 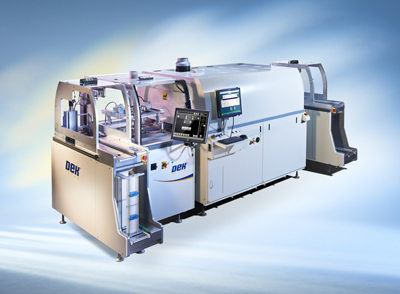 3D-Micromac AG has developed a new machine for structuring of thin-film modules. Its One Stop Patterning tool microSCRIBE OSP is deploying a combined laser and inkjet application, which facilitates integration of three classical structuring steps on one single platform. Classical single Laser scribing after every thin-film deposition is not necessary any more with this tool, which now completely series-interconnects a thin-film module after full deposition of all functional layers. What challenge does this product / process or innovation address? Classical thin-film structuring requires three scribing steps between the vacuum depositions of the individual functional layers. This results in large dead zones, extensive cleaning procedures, reduced layer and interface quality, longer throughput times and yield losses. The dead zones defined by the full width of the three typical structuring lines, considerably decreases module efficiency. Due to inaccuracies between different scribing tables, tolerances have to be implemented, which further enhance the dead zones and directly lead to efficiency losses. Furthermore due to the scribing steps, considerable efforts have to be incurred for bringing substrates in and out of vacuum after each thin-film deposition. 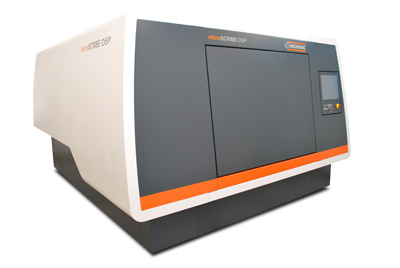 The microSCRIBE OSP from 3D-Micromac AG integrates all three classical scribing steps on one tool and in one process. This is accomplished by employing a combination of ink-jet and laser scribing steps after the deposition of the full layer stacks. 3D-Micromac AG leverages hereby its wide expertise on such combined tools from other application fields. Thereby dead zones can be reduced drastically down to 100 µm from todays´ typical 200 – 400 µm. This increases efficiencies by up to 0.8% absolute. It's the first production equipment worldwide that can conduct the integrated series-connection of a thin- film solar module on one single platform and in one single production step. 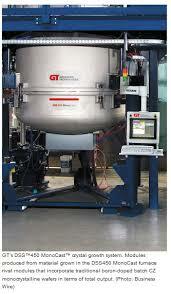 GT Advanced Technologies Inc., announced the commercial availability of its DSS™450 MonoCast™ crystal growth system in Jan 2012. Modules produced from material grown in GT's DSS™450 MonoCast™ furnace rival modules that incorporate traditional boron-doped batch CZ monocrystalline wafers in terms of total output. The DSS450 MonoCast furnace incorporates a number of features that result in ≥80 percent mono volume yield per slabbed ingot and significantly increases Grade I wafers (>90% mono area/wafer) per ingot than other cast mono technologies. Advancements in ingot casting technologies are opening up new market opportunities for traditional multicrystalline wafer manufacturers to deliver next generation wafers that enable higher cell efficiency conversions. 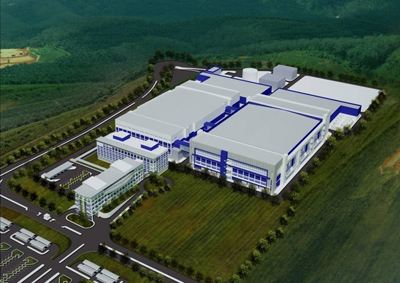 Modules produced from GT's MonoCast material rival modules that incorporate traditional boron-doped batch CZ processed monocrystalline wafers in terms of total output. Cells produced from DSS450 MonoCast wafers have lower Light Induced Degradation (LID) and the full square surface dimension area across the wafer provides greater electricity generating surface area than the pseudo square shape of traditional monocrystalline wafers. The result is module efficiencies that are competitive with modules incorporating batch monocrystalline wafers. The DSS450 MonoCast features new advanced hardware and an industry first automatic seed retention feature that eliminates dipping and operator intervention between melt and growth helping to automate the process and enabling the production worthiness of the DSS450 MonoCast system. 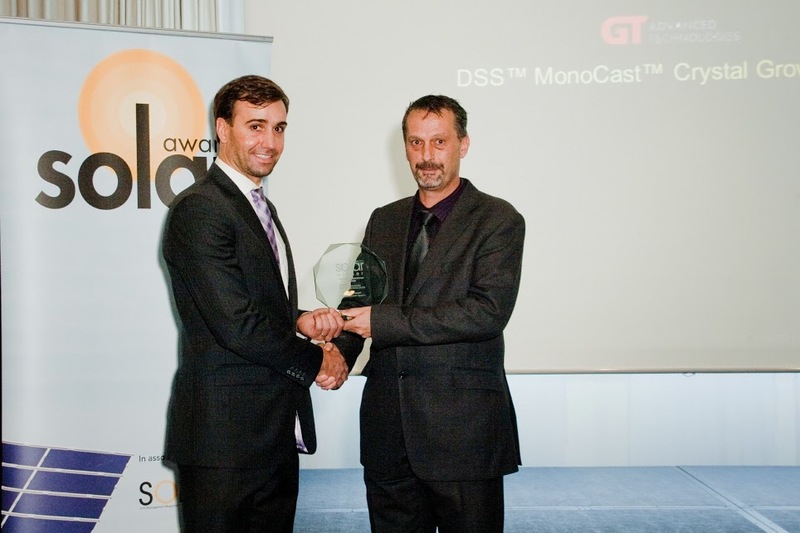 When combined with GT's new Acuity™ performance software, the DSS450 MonoCast can produce high quality ingots run after run. Trinasmart is a module-integrated solution that optimises the energy output of PV systems, enhances the safety of solar arrays, improves the installation speed of an array, and reduces BOS costs. Trinasmart features Smart Curve, which enables the installation of up to 30 per cent longer strings than a traditional module. This reduces the number of balance of systems components required per array, while also making the installation faster and easier. Trinasmart accomplishes this by reducing the maximum output voltage to 32.2V (on the 60-cell DC05A Honey M module) compared to 38.4V without Smart Curve. The maximum voltage with Smart Curve is constant regardless of the temperature. This technology solution is compliant with all international safety regulations. Overall, Smart Curve reduces the BOS costs by about five cents per Wp, while harvesting more energy due to reduced l2R loss because of the reduced number of strings. Smart Curve is TÜV and CSA certified. The patented Trinasmart technology is a complete solution with power optimiser and monitoring, as well as Smart Curve and safety all built into the module junction box. As opposed to other solutions, Trinasmart allows monitoring and control of the PV array at module level and will work with any inverter. Trinasmart with Smart Curve is fully covered by Trina Solar's 10-year product warranty and 25-year linear performance warranty. The enhanced Trinasmart technology comes built into the new high-efficiency DC05A Honey M module series, featuring black monocrystalline cells and a black frame for great aesthetics. The 260Wp DC05A.25 comes with a black backsheet, making the module a perfect full black fit for dark roofs, while the white backsheet of the DC05A.28 results in a slightly higher power output of 265Wp. 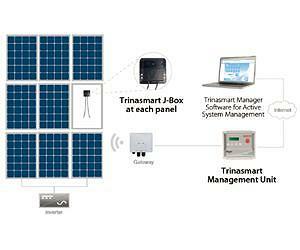 Trinasmart also improves the safety of the PV system: in cases of electrical failure (e.g. flashing arc), Trinasmart shuts down the affected modules automatically. Moreover, in the case of an external fire the modules can be totally deactivated, eliminating high voltages and improving the safety of firefighters during an emergency. Trinasmart increases building security and complies with current and future European regulations demanding low voltage shut-off capabilities. With Trinasmart, all modules operate at their Maximum Power Point (MPP); the optimiser itself fixes mismatches automatically. Accordingly, every module in a string performs at the maximum level, delivering optimal energy output. When using Trinasmart, designers can use parts of the roof that are prone to shading without causing the entire system to lose power. Traditional modules would decrease the energy output in the string, but not Trinasmart – the solution automatically takes care of this. All in all, system output in case of shading and differing module performance within one string is improved by up to 20 per cent system performance can also be monitored and controlled in real time thanks to the web-based Trinasmart platform with a smart mobile device or a PC. Apollo is an integrated cell manufacturing metallization platform designed to help manufacturers to meet the future challenges of the solar industry and improve production performance. Renowned for its precision and flexibility, the Apollo platform offers ±10 micron accuracy @ 2 Cpk capabilities. Its advanced automated features deliver repeatability, accuracy and high performance. The industry-leading platform offers a breakage rate of less than 0.15% and can process 1,450 wafers per hour. Apollo delivers these increased capacity features whilst maintaining a small factory footprint in a single line configuration. 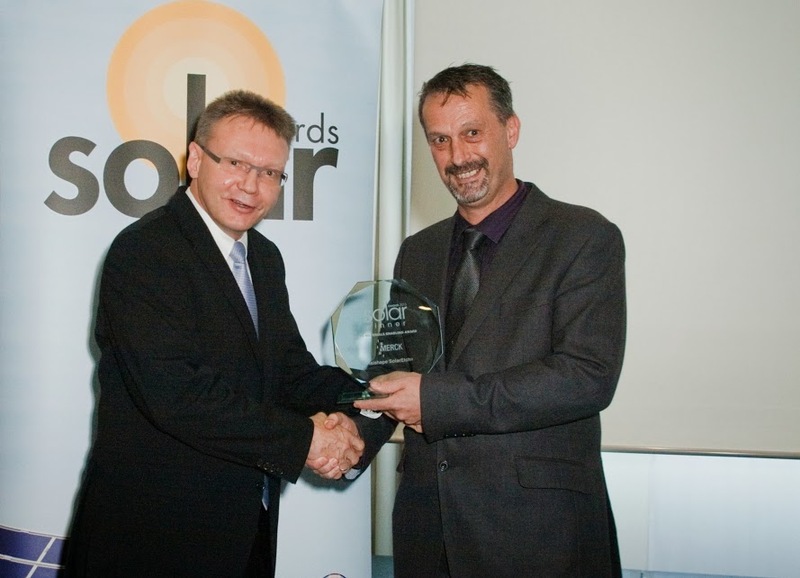 It is fully optimised for Print-on-Print and Selective Emitter processes. Featuring topside cameras for fiducial or pattern alignment, as well as incorporating handling systems, conveyoring, drying equipment and the ability to integrate directly with other photovoltaic production processes, Apollo is the foundation for DEK Solar's new generation of solar cell metallization solutions. With the addition of Apollo, DEK Solar is able to offer a comprehensive portfolio of metallization platforms and support the complete spectrum of PV customers, from entry level start-ups right through to multi-national cell manufacturers. Apollo is designed to meet a range of challenges, including the demand for increased cell efficiency in the PV industry. 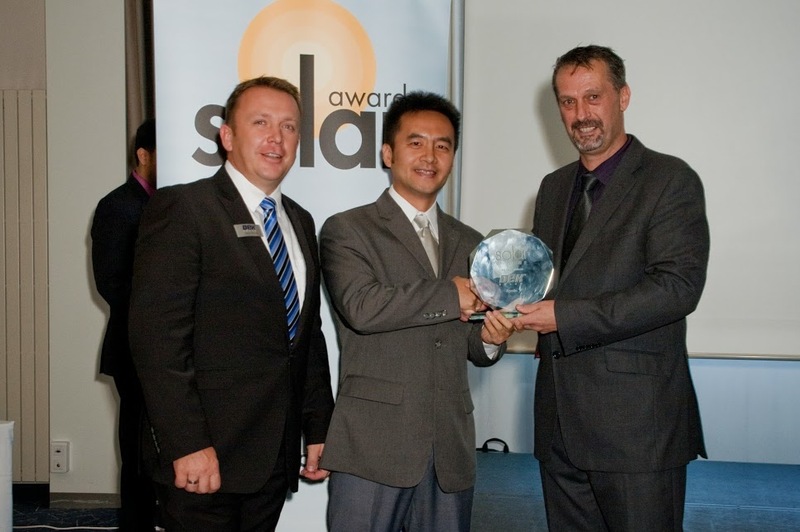 Faced with future demands, DEK Solar developed the Apollo platform as a practical solution for customers looking to improve products and processes in high efficiency cell manufacturing. It overcomes challenges in throughput, alignment, wafer handling and breakage. Modular and flexible in configuration, Apollo is future-proofed to meet PV Industry Roadmap requirements and it exceeds demands for increased cell efficiency. 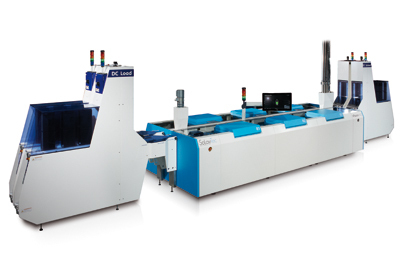 Its innovative wafer alignment system was designed specifically for the selective emitter, print on print and MWT process which delivers exceptional alignment accuracy and makes these next generation technologies practical. The state-of-the-art print engine design delivers the highest level of print quality by using a unique closed loop control system and precise paste delivery systems. Print results are monitored through an SPC software suite for optimal performance. Apollo offers higher throughput, improved wafer handling and lower breakage rates. At the Department of Applied Physics Eindhoven University of Technology Dr. Hoex (currently working at SERIS Singapore published his work in 2008 entitled: "On the c-Si surface passivation mechanism by the negative-charge-dielectric Al2O3". In a nutshell he revealed that this is an excellent passivation material for p- and n-type c-Si from 5 to 10nm Al2O3. It creates a high negative charge density. However the key remark of his work in which he used temporal atomic layer deposition (ALD was that these tools were not really suitable for mass production due to the low growth rate. 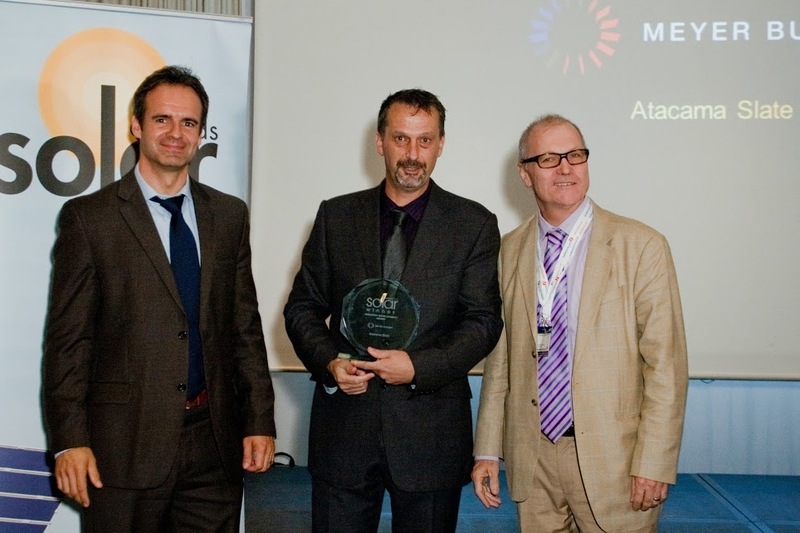 InPassion ALD from SoLayTec has the solution for Lab-to-Fab ALD for mass production. InPassion ALD uses spatial ALD for Al2O3 deposition. This technology is based on the spatial separation of precursor gases instead of time-based separation (temporal ALD. For spatial ALD the different gases are confined in specific process areas as the wafers pass by. Every point on the wafer is sequentially in contact with the wafers deposition rate 1nm/sec. This creates the (real ALD effect and reaction. In the SoLayTec machines the process takes place in the core deposition units where a wafer is moved upstream and downstream through an injector head twice per second resulting in eight layers per second (deposition rate of 1nm/sec. The number of modules of a SoLayTec machine can be up to 10 units. Currently there are several solutions in the market available. But the InPassion ALD has the answer to the following challenges: A Temporal ALD has a low growth rate 01nm/min B Spatial ALD solution like a tunnel concept are less flexible for layer thickness adjustments and in case of a broken wafer the MTTR is rather high C PECVD / APCVD system can't compete on several items with ALD like layer uniformity WtW the minimum layer thickness is 20nm thicker (high TMA usage and relatively high downtime for cleaning. The InPassion ALD can change the Al2O3 layer thickness very easily via the user interface. When adapting the layer into less nm's, the throughput will increase (maximum of 4500wph. In the case that one deposition unit (1 of 10 needs to be stopped for service or caused by an error the other nine deposition units will continue production whereas tools of competitors will be completely down. The ALD process only needs about 5-10nm which saves the user significantly on TMA usage and the cleaning off such an InPassion system is one hour per week. InPassion ALD can be scaled in throughput by adding deposition modules up to a number 6 or 10 delivering the maximum capacity. For your first pilot line this means you order the InPassion ALD platform including gas cabinet abatement and choose the right number of throughput with e.g. 4 modules you can reach a throughput of 1440 wph. At a later stage you can add throughput by adding more modules. Modular deposition unit is field replaceable unit If one of the deposition units is not working properly and cannot be fixed by the customer or SoLayTec service team this module will be replaced by another one. In this way the tool will be running as fast as possible at 100% capacity again. At the same time this module will be sent to a SoLayTec service station to be refurbished. Most systems will be fixed onto the roof as this ensures the highest degree of certainty. Not all roof types have a suitable surface type to be punctured for traditional roof mounting. As a result, manufacturers have developed 'ballasted' solutions where the system is weighed down onto a roof with bricks/gravel, to stop them from moving when faced with extreme wind/snow. This will add weight which causes problems since not all buildings can take the structural load burdened by a PV system fixed with bricks to weigh it down. 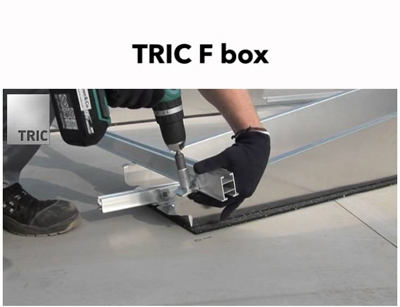 We have developed the TRIC F box as a low 'ballast' fixing solution to increase the number of possibilities for commercial system integration. Wagner's innovation has been achieved through a total innovation of the panel arrangement together with a lower inclination which together allows our system to be fixed down with less ballast (weight) as low as 12kg/m2. The panels are arranged in a portrait (vertical) arrangement as opposed to landscape (horizontal). This means that the panels can sit at a lower inclination – 10 degrees, which makes the system less sensitive to wind/snow loading, and thus allows it to be placed with a lower amount of ballast. The most important benefit arises from the fact that our system has a lower inclination for the panels. By having an inclination of just 10degrees, the impact of shade is much lower, which means that the inter-row spacing is significantly lower than with other systems, meaning that the installer can now design systems which a higher amount of panel array. This helps the property owner by maximising their roof space to generate more energy. Even more noteworthy, the system can be placed back-to-back in an East-West arrangement which reduces the shading impact to almost zero and allows in some cases, up to 95% of the usable roof space to be covered in PV. The system is designed with only 3 components, meaning that installers can easily fix the system together using pre-assembled components to improve the reliability of the installation and save large amounts of time during the installation process. Better system performance: up to 99.5 % conversion efficiency to help customers get the most out of their PV systems at all times. Greater design flexibility: Smart modules enable customers to install solar PV systems in otherwise undesirable locations from partially shaded rooftops to uneven natural terrains and to install multiple facets and different types of modules on the same string. Slashed installation times: By providing an option for a "plug-and-play" solution Upsolar allows system integrators to reduce the resources required to get systems up and running. Real-time system monitoring: customers can track the performance of their PV systems at the module level to quickly and accurately identify and correct performance issues minimizing maintenance costs by enhancing understanding of the cause of the problem from the outset. 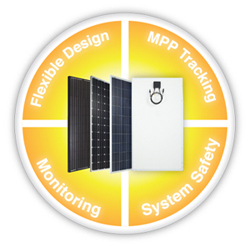 Upsolar's smart module systems are equipped with remote shutdown capabilities ensuring greater installer safety and protecting first-responders in the event of a fire Combined the many attributes of Upsolar's smart modules create a more attractive return on investment for global customers. In addition to design and performance benefits Upsolar's smart modules are helping make solar ownership a more transparent reliable experience. With real-time performance monitoring apps that allow owners and installers to check in on their systems anytime anywhere smart modules make solar ownership more transparent enabling owners and installers to identify and correct issues immediately. Not only can owners save money by monitoring and maintaining systems more easily they can also share their system's progress with their social network helping demonstrate the benefits of solar to others. M W Group covers the complete added value chain for Photovoltaic Manufacturing facilities on a global basis with consulting design construction and project management services from Poly Silicon plants to ingot/wafer cell and module manufacturing as well as thin film module manufacturing factories. The scope offering also includes turnkey design/build responsibility from smaller pilot lines through to large-scale PV plants. Having already designed and constructed a manufacturing capacity exceeding 11GWp M W Group is the global market leader in this sector. With a staff exceeding 7700 people spread throughout five continents M W Group is able to keep pace with their clients' growth strategies and to offer localized expertise around the world. 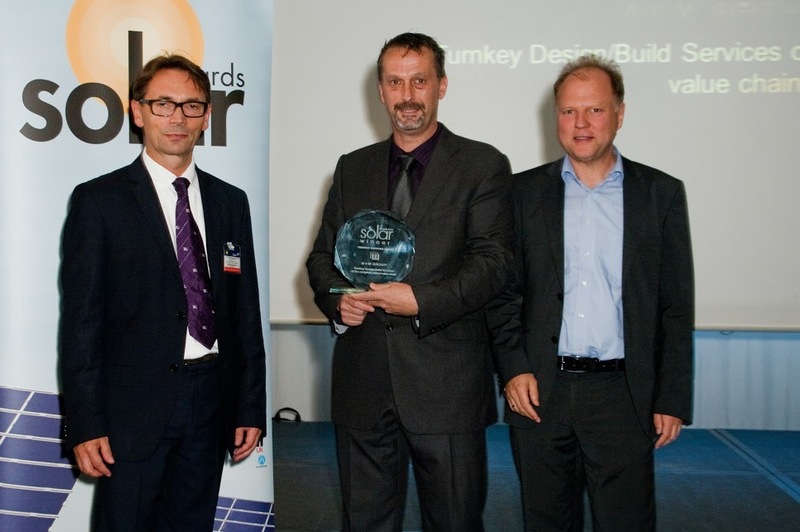 M W Group has had the honour of providing continuous design/build services and accompanying a number of their PV customers on their path from a start-up company to one of the top ten PV players. The high %age of repeat customers emphasizes clients' satisfaction with M W Group's performance and commitment. The former trend for scaling up to GW scale manufacturing in the years 2006 to 2010 has changed. It turned out that cost savings due to scaling effects decrease or are even neutralised at annual manufacturing capacities of or above approximately 600MWp. currently we have observed that market conditions for PV manufacturing facilities have changed with respect to local content regulations in certain countries. M W Group has addressed these requirements by defining modular and scalable design concepts that can be adapted to the required manufacturing capacities and copied to new locations. Especially for downstream products such as cells and modules demand for smaller (up to 600MWp capacity manufacturing facilities has increased that are located in the proximity of the end market. The current challenges for the PV manufacturing industry are: - Cost pressure - The main user markets are shifting from Europe to Asia and the Americas - Requirement for increased local content Due to the overcapacity in the PV industry only few new manufacturing sites have been erected within the last 2 years. As a result new technologies could not be fully implemented into mass manufacturing and the further potential for cost reduction is somehow limited in existing facilities. In order to introduce such new technologies to drive down costs into new markets new facilities with advanced design concepts that satisfy local needs codes and regulations will be required. M W Group is working close together with leading edge equipment and technology suppliers to enable advanced cost-effective solutions for the PV industry. With this integrated project approach M W Group can tackle challenges such as: -Value engineering and benchmarking using the lessons learnt from previous projects -Modular and expandable building concepts -Manufacturing capacities scalable between 100MWp 200MWp 300MWp 400MWp and 600MWp. -Advanced energy supply concepts -Mass and energy flow modelling to reduce overall life cycle costing With its long-term experience M W Group provides best-in-class solutions with optimum flexibility to future expansions minimum operating costs and fast time-to-market. 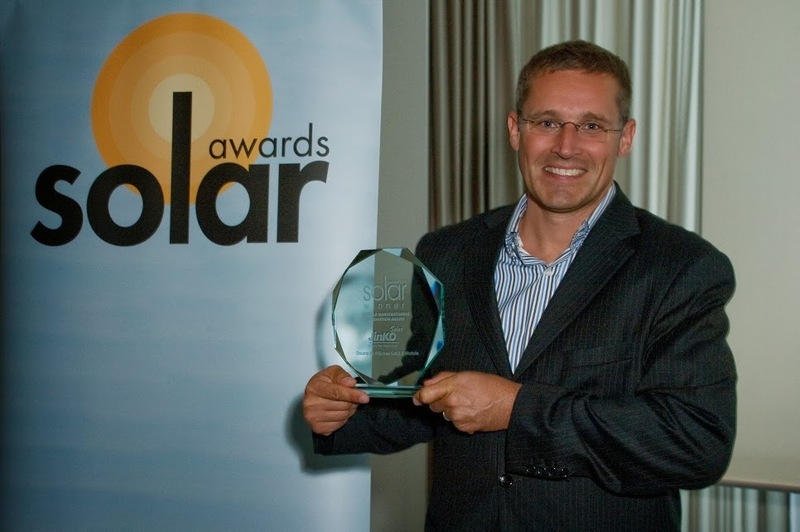 The innovative concept presented by Meyer Burger, the solar module "Atacama Slate", meets the need of cost-effective solutions for producing electricity in regions with high solar irradiance, sand storms and high temperatures (i.e. deserts). The Atacama Slate is based on a combination of high efficiency technologies and innovative module design adapted to the specific requirements of desert regions. The Atacama Slate consists of a bi-facial, frameless, glass/glass module design combining the high efficiency heterojunction and SmartWire connection technology. The combination of all factors leads to an optimum energy yield while lowering the total cost of ownership. The challenge in desert regions is to achieve an optimal energy yield given the delicate climatic conditions. High solar irradiance, high environmental temperatures, sand storms as well as a different light spectrum need to be considered in the design and technology of solar modules. The Atacama Slate module is the solution for reaching maximum energy yield by combining high efficiency technologies with a dedicated module design adapted to desert regions. Heterojunction cells have a low temperature coefficient of approx. 0.20% and are designed for high irradiance conditions. The SmartWire Connection Technology is a cost efficient method based on cell connection by wires instead of bus bars which are capable of reaching up to 5% higher power output compared to best-in-class bus bar technology. In addition, the Atacama Slate offers the possibility of bifacial use thanks to its vertical installation. Sand and dust retention is countered by a frameless design, while the glass/glass construction enables the long module endurance. The Atacama Slate combines existing high efficiency technologies with a dedicated module design which takes the climatic conditions into consideration and thus delivers a product specifically adapted to these regions but also a cost-effective solution for producing electricity. The EAGLE solar module -- is the world's first potential induced degradation (PID )free polycrystalline module to be certified by TÜV under weather conditions of 85 Degrees Celsius 85% relative humidity with peak power output of up to 265 Watts (panel with 60 cells. A PV power plant strongly affected by PID may lose 70% or more of its power output thus turning into a disastrous investment. Under long-term impact of high negative voltage for P type cell or positive voltage for N type cell leakage current through the front glass and encapsulation material lead to accumulation of motion ions at the cell surface. The surface passivation provided by the front surface field of the cell degrades. The fill factor, short-circuit current density and open-circuit voltage are significantly reduced resulting in the decline of module electrical performance a phenomenon known as Potential Induced Degradation (PID. Once a module is PID affected the output power will decrease to approximately 20-70% of its original power. Thus the entire solar system will suffer from a tremendous power loss. It is reported that some PV installations have lost more than half of their power output over time in extreme cases some installations even measured power losses of up to 80% due to PID. Many credit institutions have already adopted PID-free as a key bankability criterion which developers have to comply with when applying for project financing. The high-power EAGLE module contains many innovative characters including wafers with low dislocation and small uniform grains cells with selective emitters and double printed contact as well as newly-designed modules with improved temperature co-efficiency and weak light effects. The improvements in wafer- and cell-processing and module encapsulation all contribute to the anti-PID effect which will guarantee higher power output especially under extreme environmental conditions. 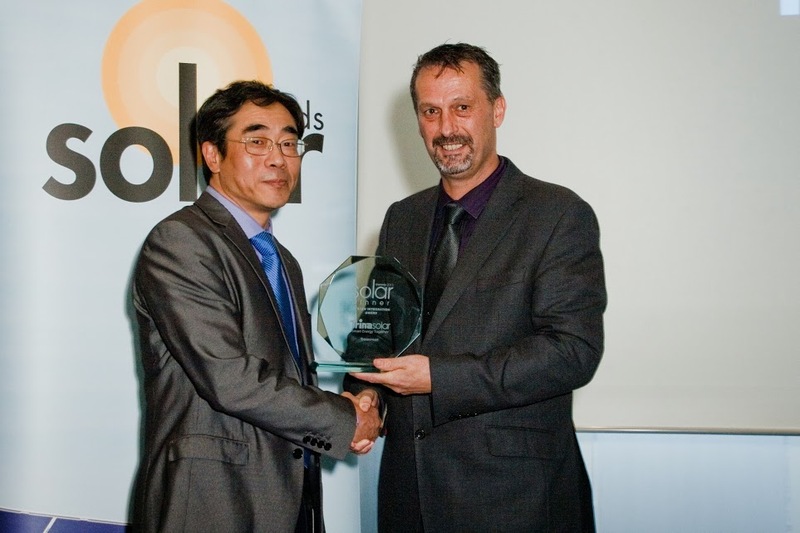 JinkoSolar are the first company in the world to attain PID-free certification under 85% humidity and 85 degree conditions by TÜV (August 2012.) In January 2013 they unveiled the worlds first PID-free mass-produced 'EAGLE' modules which are PID-free under weather conditions of 85 Degrees Celsius 85% relative humidity. In the rural areas where the Steca Tarom 4545 is commonly in use, many end users are not able to read or write. Thus technical aspects are difficult to understand and need to be conveyed to them on a different way. 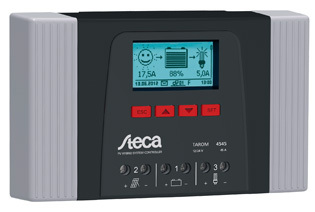 Moreover the installation of solar charge controllers is tricky because of the lack of space and size of the connection terminals at the charge controller. Rising costs for external accessories like data logger programmable switches etc. is another challenge products in this area have to face. The new Steca Tarom 4545 provides a solution to all those problems. The new device has been equipped with a large multifunctional LCD with graphics capabilities so that the user can easily understand the system by the use of self-explanatory symbols. New connection terminals also make the installation much easier. Thanks to integrated functions like data logger generator start and excess energy management timer's costs could be reduced to a minimum. A nightlight function as well as 2 programmable switching contacts and an open communication interface amplify this effect. The new design for the Steca Tarom sets new standards in this power class. A graphic display informs the user about all important system data and enables configuration and adjustment of the controller to the specific requirements of the individual system. Numerous clever functions allow the user to adjust the controller to the particular features of the system in question. Thanks to the significantly improved state of charge determination the system is optimally controlled and the batteries are protected. Shams solar power station (meaning "Sun" in Arabic) is a concentrating solar power station near Madinat Zayed, Abu Dhabi, the United Arab Emirates. The solar power station is located approximately 120 kilometres (75 mi) southwest of Abu Dhabi. It became operational on 17 March 2013. 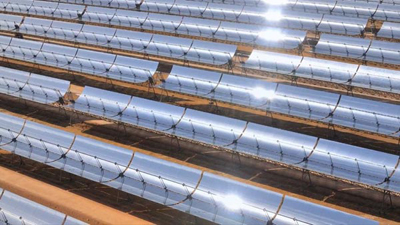 Shams 1 is a 100 MW concentrating solar power station which uses parabolic trough technology. It displaces 175,000 tons of CO2 per year and its power output is enough to power 20,000 homes. The station consists of 258,048 parabolic trough mirrors, 192 solar collector assembly loops with 8 solar collector assemblies per loop, 768 solar collector assembly units, and 27,648 absorber pipes. It covers an area of approximately 2.5 square kilometres (0.97 sq mi). The basic and detailed engineering have been developed by AG Ingeniería. The project is consulted by Fichtner Consulting Engineers. The equipment designed and delivered by Foster Wheeler. 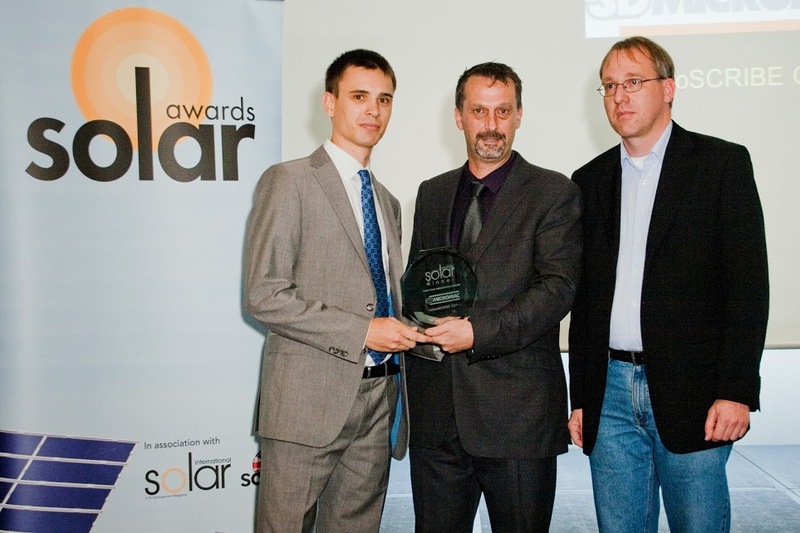 The power station was equipped by Abengoa Solar's ASTRO collectors. The 125 MW steam turbine was provided by MAN Turbo, parabolic glass mirrors are provided by Flabeg, PTR 70 absorber tubes were provided by Schott AG, and Therminol heat transfer fluid provided by Solutia. The project is developed by the Shams Power Company, a special purpose vehicle of Abu Dhabi Future Energy Company (Masdar) in cooperation with Spain's Abengoa Solar and France's Total S.A.
Masdar has 60% in the project while Abengoa Solar and Total S.A. each have 20%. The power station is developed under a 25-year build, own and operate contract. Bids to build and operate the power station were made by several international consortia. The construction cost of Shams 1 is about US$600 million. The project is financed by 10 regional and international lenders including BNP Paribas, the National Bank of Abu Dhabi and Société Générale. 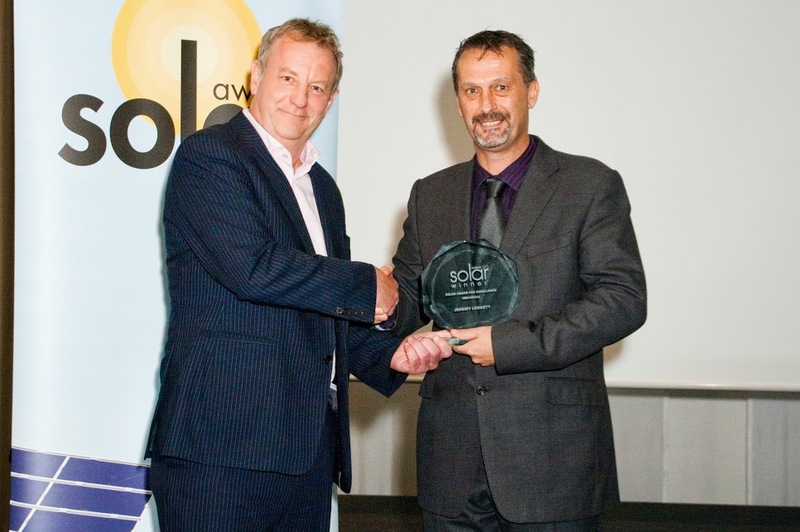 Jeremy Leggett describes himself as a social entrepreneur and throughout his working life he has worked on environmental and energy issues from almost every perspective. As a student at Imperial College in London, his research on the geological history of the oceans won him international awards and being appointed a reader at only 33 years of age. Throughout the 1980s he taught and consulted widely through the oil and gas industries. One of his projects was to explore the possibility of extracting gas from shale. His growing concern that there was a growing imbalance between global oil demand and supply led to him setting up a UK industry task force. Jeremy decided to do something with his concerns and began to make plans that would have an impact on the energy resource discussion. He initially became an environmental campaigner and his efforts were recognised when he won the US Climate Institute's Award for Advancing Understanding for his work in the 1990s. 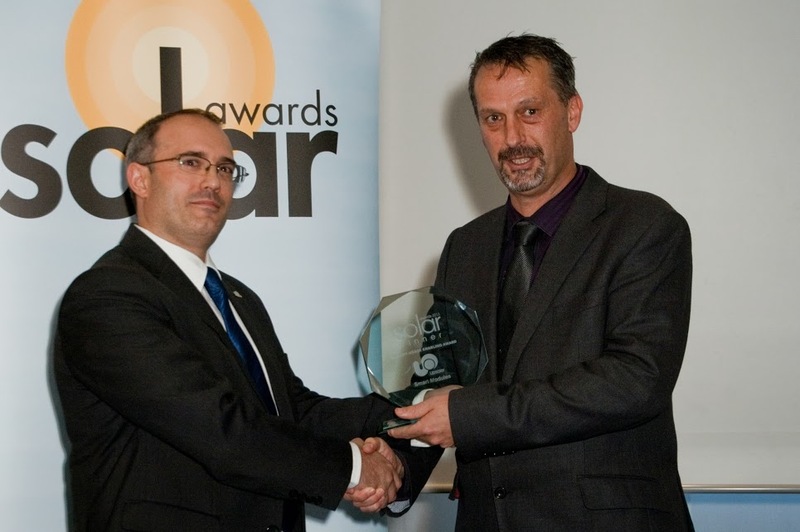 He went on to form Solarcentury, a UK based solar and PV supplier and installer. His goal was to build a company that could tackle global energy issues and be profitable. 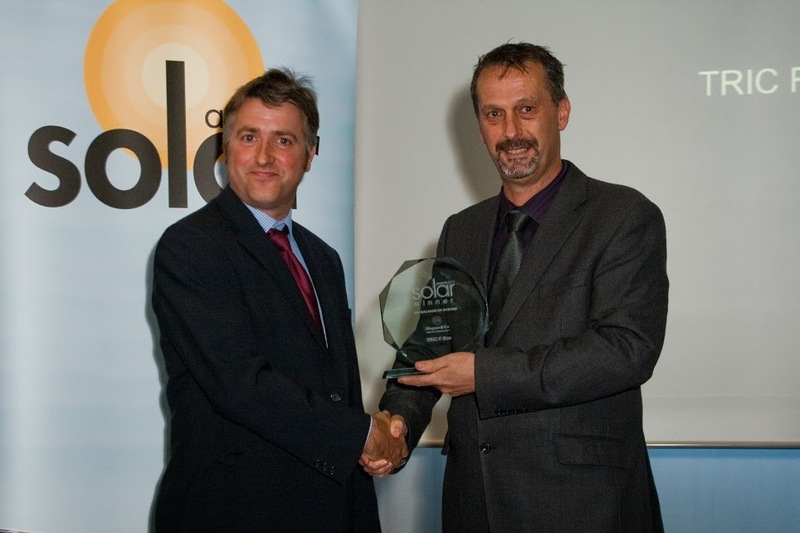 Jeremy began Solarcentury at a time when solar was not fashionable and profits were initially hard to find. 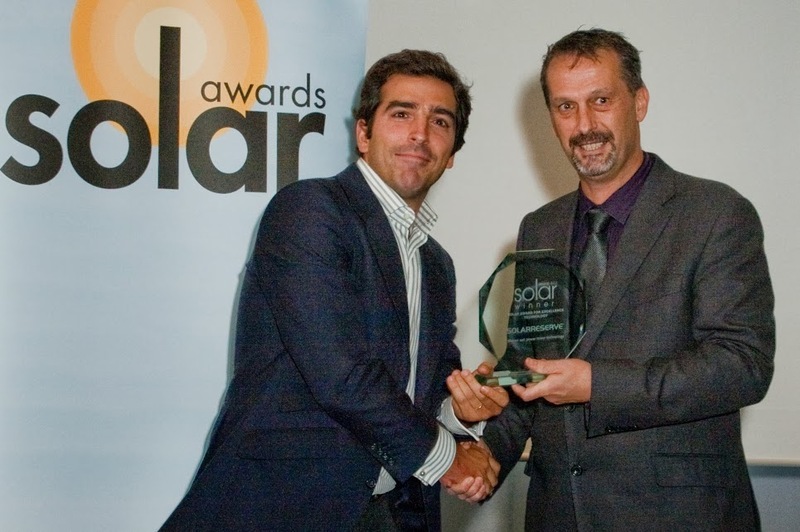 The company is now the UK's fastest growing player in the global solar market and has stuck to its initial purpose of making a big difference in the fight against climate change through widespread adoption of solar power. 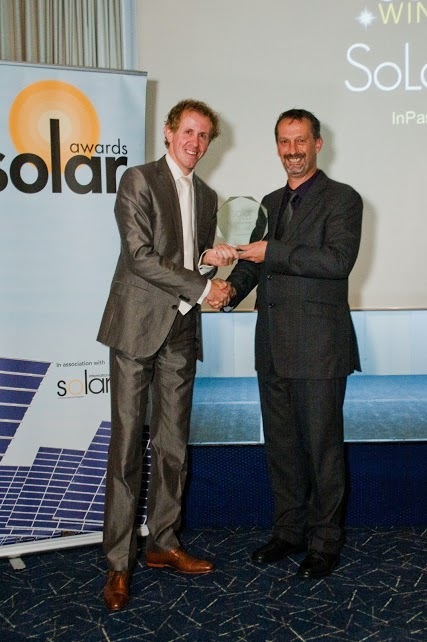 Part of the company's remit was to develop a charitable arm and Jeremy is also a founder and chairman of SolarAid, an African solar lighting charity set up with 5% of Solarcentury's annual profits and itself parent to a social venture, SunnyMoney, that is the top-selling retailer of solar lights in Africa. As can be seen from this brief peek into Jeremy's achievements he tends to take anything he does very seriously. 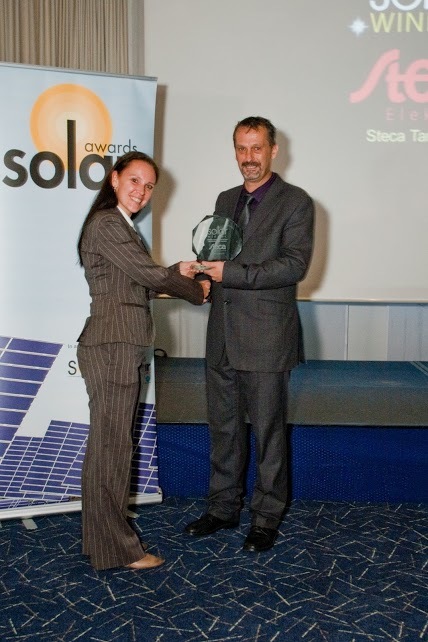 He has become one of the key speakers and supporters of the global solar industry and is also an author who writes and blogs on occasion for the Guardian and the Financial Times, lectures on short courses in business and society at the universities of Cambridge and St Gallen, and is an Associate Fellow at Oxford University's Environmental Change Institute.